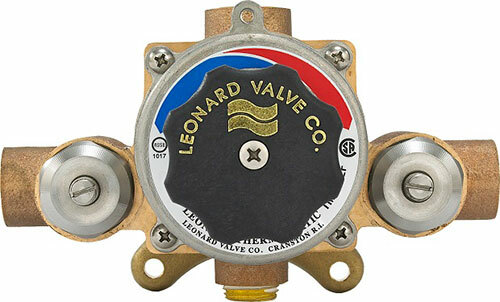 Leonard Valve - Service Reps, Inc.
Leonard’s new LMS-188-4P-SM simplifies installation by eliminating the need to cut into piping. Probes remain on the outside for external installation by simply strapping to the existing pipe. 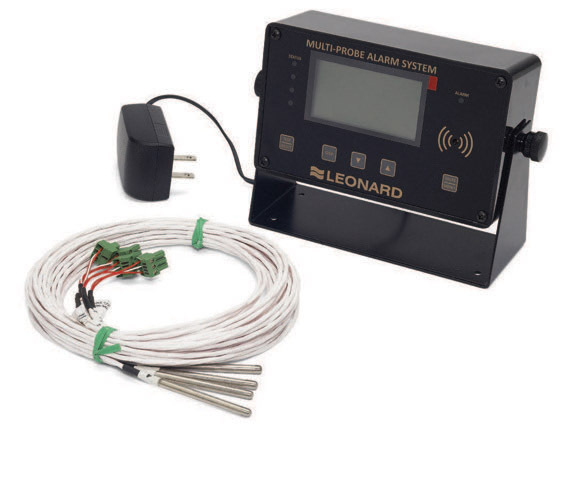 Complete temperature monitoring with no need for installation downtime for piping cut-ins! Low cost for budgetary conscious projects. 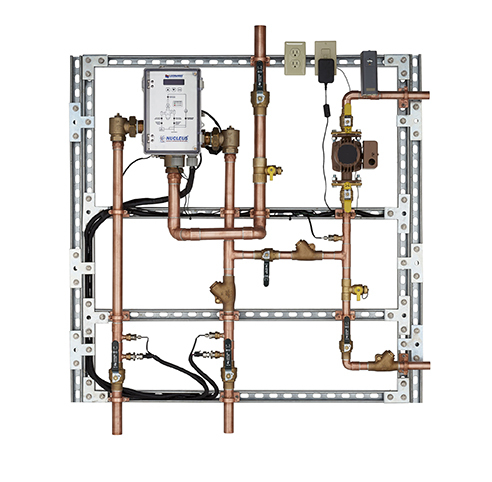 Control water temperature for domestic hot water systems, multiple showers and other commercial, educational, penal, health care and industrial applications. 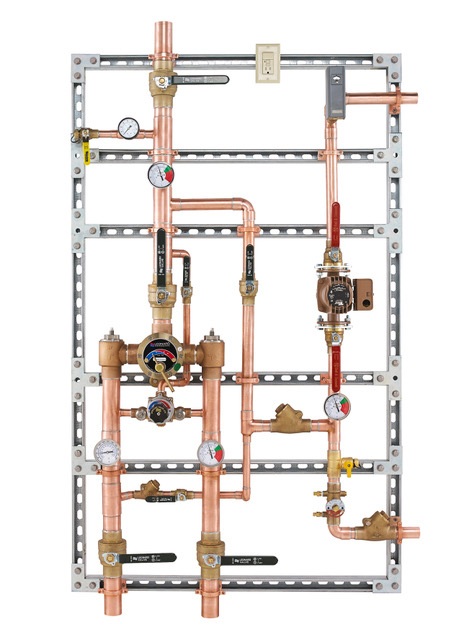 Thermostatic water mixing valve, DURA-trol® solid bimetal thermostat directly linked to valve porting to control the intake of hot and cold water and compensate for supply temperature or pressure fluctuations. DURA-trol® is highly responsive and cannot be damaged by extremes in temperature. ¾” Sweat inlets and outlet, 1 GPM (3.7 l/m) minimum flow capacity. 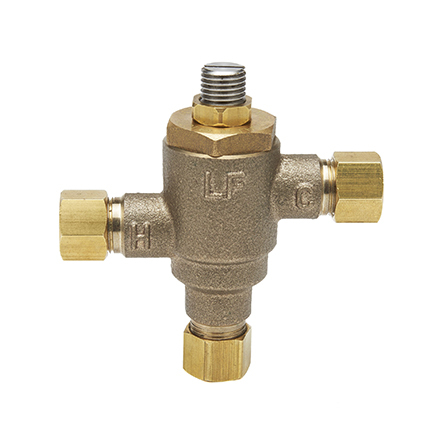 Integral combination checkstops, Internal parts of lead free bronze, lead free brass, and stainless steel, Integral wall support, Color-coded dial, HOT-COLD with directional indicators, Maximum operating pressure 125 PSI (860 KPA), Adjustable high temperature limit stop set for 120º F (49º C), Locking temperature adjustment knob.